Cigarette smoking on allergic conditions – Maternal smoking in the first year of the child’s life resulted in the children having an increased chance of wheezing, exercise-induced wheezing and asthma. Foetal exposure to maternal passive smoking is associated with childhood asthma, allergic rhinitis, and eczema – Foetal exposure to maternal passive smoking was significantly associated with wheezing, allergic rhinitis and eczema. Improvement of Atopic Dermatitis Severity after Reducing Indoor Air Pollutants – After the completion of the program that reduced the air pollutants in kindergarten, the prevalence of atopic dermatitis and the mean eczema area and severity index (EASI) were decreased, and the changes were both statistically significant. Pre- and postnatal exposure to parental smoking and allergic disease through adolescence – Exposure to second hand smoke during infancy was associated with an overall elevated risk of asthma, rhinitis and eczema up to 16 years. 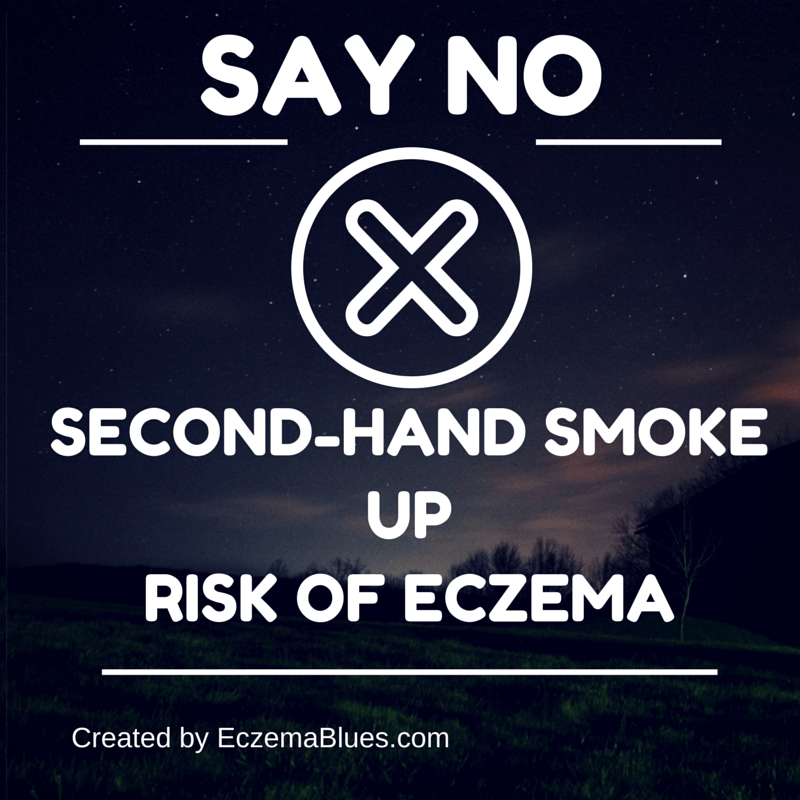 Parental smoking and development of allergic sensitization from birth to adolescence -Second hand tobacco smoke exposure in infancy appears to increase the risk of sensitization to food allergens up to age 16 years as well as eczema in combination with sensitization.